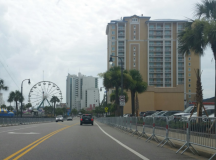 Post Tagged with: "Ocean Boulevard"
The “Family Friendly” propaganda is out in full force as Myrtle Beach City Council prepares to debate an entertainment overlay district ordinance for Ocean Boulevard this week. The ordinance would ban the sale of certain products such as hookah pipes, tobacco, CBD oil and what it calls sexually suggestive merchandise, all of which are entirely legal products, within the overlay district. All of this is purportedly being done because these products are not considered “family friendly” by at least some city council and city staff members. And it’s not like the city is attempting to ban the sale of these products citywide, merely along a specially selected section of Ocean Boulevard. So it’s okay if these products supposedly “attract children” and “promote drug use” at, say, Coastal Grand Mall or Broadway at the Beach, but not along Ocean Boulevard? Interestingly, alcohol products, beer, wine and spirits, are not on the proposed list of banned products for the overlay district, although it could be argued that the effects of those products have done much more to ruin families than hookah pipes and sexually suggestive t-shirts. Considering what is on the list of banned products and what is left off, it is highly suggestive this proposed ordinance is not about creating a “family friendly” atmosphere at all. It appears to be targeted at a select group of businesses, owned by Jewish merchants, who are already experiencing a decline in retail sales. The City of Myrtle Beach appears to be practicing continuous harassment of Jewish shop owners on Ocean Boulevard for no better reason than it can. The current round of harassment began one year ago when city officials and DRC board members blamed t-shirt merchandise in the shops as the cause of several shootings on Ocean Boulevard. The city immediately installed barricades in front of the shops, allegedly to control pedestrian traffic, but, in reality, to cut down walk-in traffic to the shops, costing the owners sales during the height of the tourist season. The harassment continued with local police officers checking business licenses in the shops while police from other jurisdictions were being used to patrol Ocean Boulevard. This spring, the city administrator attempted to require employees of the shops to wear special badges, reminiscent of the use of a yellow Star of David by Nazi officials in Germany in the 1930’s. Recently, legally produced and legally sold CBD oil products in the shops have been targeted as potentially illegal and the city reportedly asked SLED officers to help in checking these products. Bethune initially denied making this quote, then, after probably remembering city council meetings are videotaped, said it was used out of context by local media. These incidents have all the elements of planned harassment by an authoritarian city government that can be viewed as anti-Semitic in its nature all under the guise of keeping the city “family friendly” for tourists. 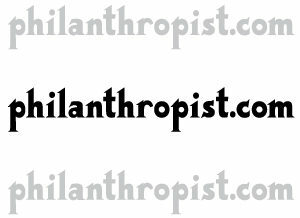 It may also be an attempt to drive down business profits to force the owners to sell their properties at reduced values. It seems appropriate that filing closes for the upcoming Myrtle Beach city elections as the area awaits the possibility of tropical storm conditions. This election cycle has already been stormy with more to come. The incumbents running for reelection, Mayor John Rhodes and council members Randal Wallace and Mike Lowder, have received justified criticism of decisions made by council over the last several years. I was looking back on stories from the election cycle two years ago. In one, I quoted an op-ed column by Mande Wilkes written three weeks before the 2015 election. “All of these rules add up to a suffocating environment for businesses, and that’s why Highway 17 is littered with empty storefronts and dilapidated buildings,” Wilkes wrote. While the “Asian fetish” appears to be in the midst of a severe ‘crash and burn’, many of Wilkes’ other criticisms have not only not been addressed, but instead have been added to. Shootings on Ocean Boulevard, indeed throughout the city, have been on the rise and city council responded with barricades along a section of Ocean Boulevard it apparently wants to redevelop. The city surreptitiously bought up property in the Superblock area and, when it was exposed, threatened remaining private landholders with the use of eminent domain to acquire their properties. The publicly stated reason for this land acquisition by the city – a new building for Chapin Memorial Library, a private-public partnership entity, and a new building for the totally private Children’s Museum. Less than three weeks remain before filing officially opens for the upcoming Myrtle Beach city elections. Already a number of people have emerged to announce their intention to run against the four incumbents up for reelection. While I’m sure there will be a large field of challengers, we won’t know exactly who is in the race until filing closes. In the meantime, there are some interesting dynamics developing for this year’s election. In the past few months, council has drawn criticism for the threatened use of eminent domain to take control of several properties in the Superblock after secretly purchasing approximately 10 other properties in that area. After being exposed, the city announced a plan to redevelop the area with a new, $10 million building to, reportedly, house Chapin Memorial Library and a new Children’s Museum. There are questions whether eminent domain taking of a property can be used for such a purpose and whether $10 million of taxpayer money is best spent on this project when public safety needs, among others, are critical at this time. Shootings on Ocean Boulevard and in other parts of the city highlight the amount of violence that has infringed on Myrtle Beach streets. 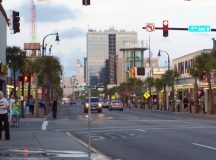 After the Father’s Day weekend incident during which eight people were wounded on Ocean Boulevard, the city placed barricades on one section of Ocean Boulevard, ostensibly for crowd control, but in front of retail stores and restaurants which occupy an area the city would also like to see be redeveloped. The businesses in the area of the barricades reported drops in sales of 30-60 percent from previous years numbers. 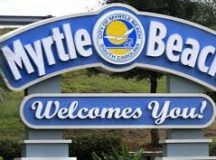 Myrtle Beach city officials are sticking with the phrase “It’s working” since putting up barricades and increasing police presence on Ocean Boulevard following shooting incidents in the past several months. It’s just not clear what’s working. 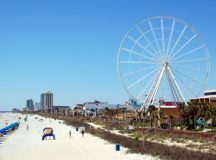 The phrase was initially coined for a series of local ads by the Myrtle Beach Area Chamber of Commerce attempting to justify the one cent tax for tourism promotion. Now, “It’s working” has apparently entered the local lexicon of government officials to give vague answers about questionable initiatives. The questionable initiatives are the barricades and uses of some police officers to perform duties other than patrolling the boulevard to prevent further acts of violence. The only real effect seen from the barricades to date is to minimize foot traffic of potential customers to the many food and other commercial establishments in the heart of what used to be the busiest area of Ocean Boulevard. Since the barricades were put in place two weeks ago, business owners in the area told Grand Strand Daily that their revenues are down 40-50 percent from previous years. 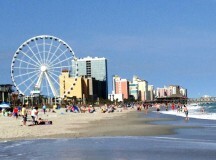 Several police jurisdictions have volunteered officers to Myrtle Beach for weekend help in patrolling the Boulevard. The idea is to increase police presence to discourage the types of violence seen just a few weeks ago. 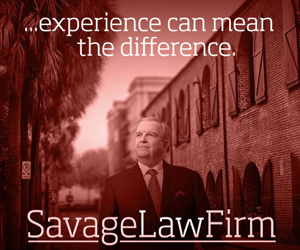 However, several business owners report Myrtle Beach Police Department officers have been visiting their establishments to check on things like valid business licenses and look for minor discrepancies from Myrtle Beach ordinances.